Coming off a 0-16 season, the Cleveland Browns are looking to add some star talent from this year’s 2018 NFL draft. This off season the Cleveland Browns added some fire power by adding Jarvis Landry and Damarious Randall but lost a key player in Joe Thomas. 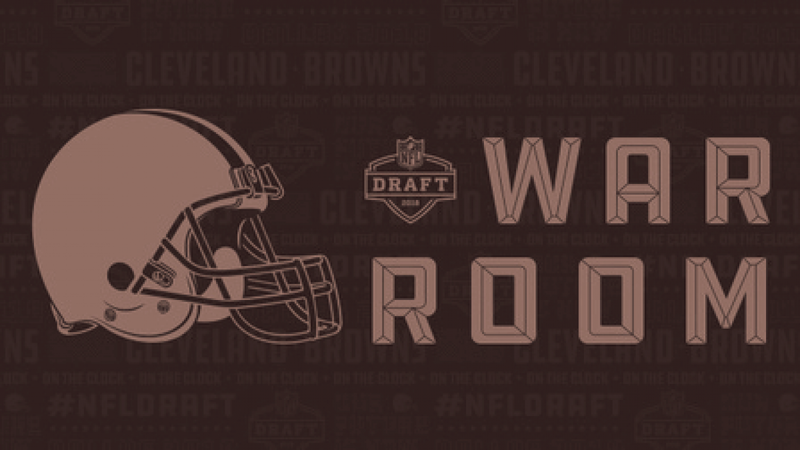 The Browns have five picks in the first two rounds of the 2018 NFL Draft and will look to fill some gaps in their secondary, running game, and of course the quarterback. Here are my predictions for the Cleveland Browns first five selections. 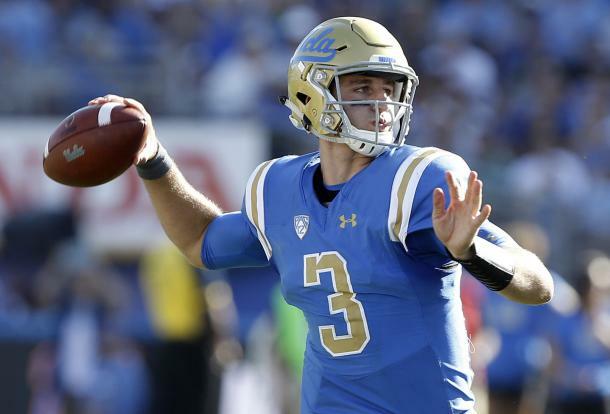 Josh Rosen is the most polished quarterback in this year’s draft. At 6’4, 226 lbs, Josh Rosen has the best accuracy and foot mechanics, making him a solid day-one starter. Josh Rosen is a confident competitor who is also extremely intelligent. Josh is able to make all throws and feather when necessary. Rosen sometimes gets in trouble by trying to make an impossible throw and wanting to extend a play rather than throw it out of bounds. 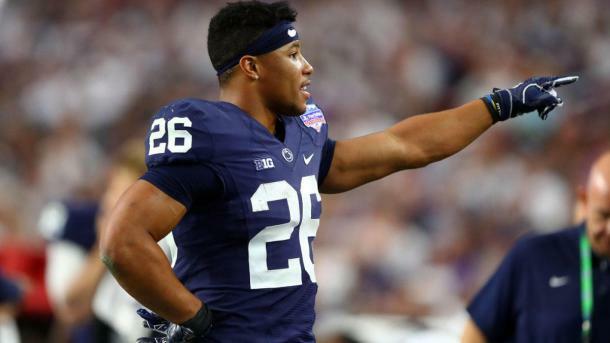 Round 1 (Pick 4, Via Hou) RB Saquon Barkley: Penn St.
Arguably the best player in this year’s draft, Saquon Barkley is one of the most well rounded and talented prospects. At 6’0, 233 lbs, Barkley has the strength and power to push defenders out of his way but still has the quickness and vision to make cuts and exploit gaps. Barkley is able to beat you with his feet as well as by catching out of the back field. Barkely’s only concern is that he tries to dazzle too much while on a stretch play and his pass blocking ability in the pocket. You cannot go wrong picking Barkley. With the departure of Joe Thomas, the Browns will need to add a strong offensive tackle. Kolton Miller will give the Browns tremendous size and strength with his 6’9, 310 lbs stature. Josh Rosen will have a familiar face with Miller as his tackle. Miller plays with maximum effort and has a good upward thrust but lacks athleticism to get to the second level. With the help of an offensive line coach, Miller will be able to be a productive day-one starter. The Browns are in need of a true number one cornerback. Donte Jackson is not the best cornerback in this year’s draft but has the potential to become a true talent in the NFL. Jackson is only 5’10 and 178 lbs but is incredibly athletic. With his track background, Jackson is extremely fast and able to close separation quickly. With time, Jacksonwill be able to improve his lack of instincts. Jackson will give the Browns a day-one starter whether he plays at nickel or is a number two corner. This will allow the Browns to have some much needed depth in this position. The Browns have a good front seven already but they were plagued by injuries during the 2017 season. Lorenzo Carter is able to play inside or outside linebacker giving the Browns a versatile player. Carter is coming into this draft 6’6 and 245 lbs, an ideal size for any linebacker. Carter is ideal for an outside linebacker role given his tall stature and quick burst off the edge. He uses his lose hips and punch technique to get off blocks quickly. Carter has struggled as a downhill rusher due to his subpar base and lack of play strength. Carter was a five star recruit with big upside going into his college career. Being put into different roles and switching from 3-4 to 4-3 schemes has hindered his progress. Carter has great potential coming into this NFL season. These five picks will help cover major holes on the Browns depth chart. With so much young talent, the Cleveland Browns cannot go anywhere but up after an 0-16 season.